BUST your negative beliefs...one hot mess at a time! It runs just under 19 minutes long and you'll use this EnergyWork tool a lot! Imagine freedom from some of the pervasive, painful & suffering-filled beliefs that you hold dear! Nobody will ever love me. I always feel like the victim. This is a teaching tool with 2 powerful workhorse rounds of EnergyWork included so you can use it forever. It will never wear out. Rudy would like you to have & own this recording as a tool to help set yourself free from the nonsense the "whipping mind"
would have you accuse yourself of. 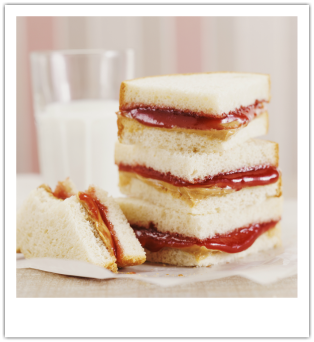 You and Rudy and all of us are much, much more than a PB & J!